Alongside a bunch of lovely and wearable makeup kits this Christmas, Laura Mercier are also releasing this beautiful skincare kit, based on their Infusion de Rose line. 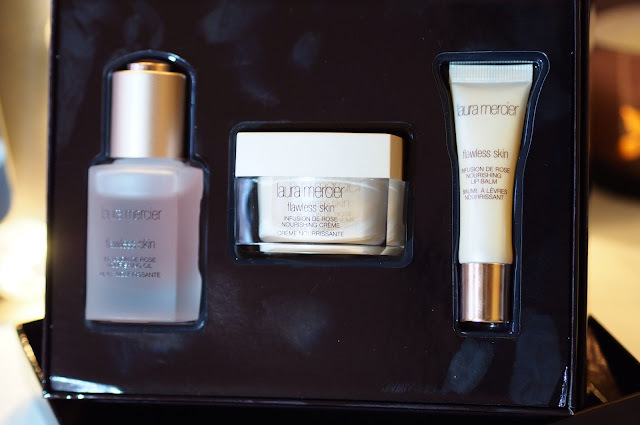 It’s not a line I’ve tried properly (yet) outside of having one of the products used on me a couple of times in makeovers this year, but this is a great value kit if you’re a lover of either roses or Laura Mercier skincare, or both. Inside are a full-size Infusion de Rose Nourishing Oil (normally £43.50), which I’ve tried once or twice, a 30ml jar of Infusion de Rose Nourishing Creme (normally £55 for 50ml) and a sneak peek at a brand new product, a full-size Infusion de Rose Nourishing Lip Balm (which I guess will retail at around £18 when released). The oil is quite thick and beautifully (but gently) scented with rose, but it blends easily into skin. It’s plant-oil based, and free from artificial fragrance and mineral oils. 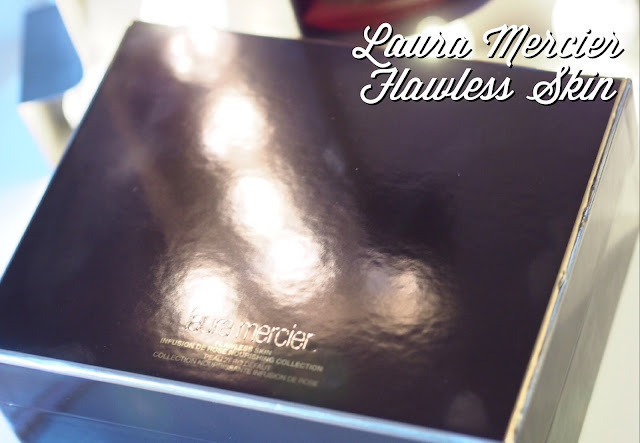 Whenever I’ve used it previously, I’ve loved it. 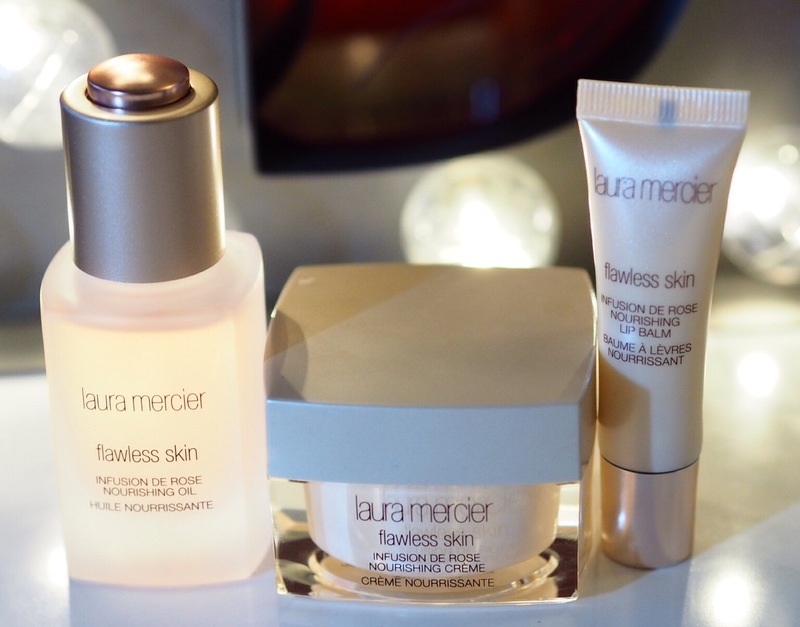 You’ll be seeing it a fair bit in my skincare of the week posts from now on, I think. I’ve not tried the Creme version, but I’ve read good things – Laura Mercier skincare generally isn’t bad at all. I’ve tried the lip balm a few times now and like it very much – the tube has an innovative rubber tip, which makes applying to the lips very easy, but the balm tends to harden in cold weather, so you may want to warm it between your hands before applying. At £75 for all three, this is a good interesting way to try the range before plunging into full-sizes.